Join Prose Collective for a fall-inspired workshop on creating a lush and balanced table with hand-lettered menu cards and floral elements. - This comprehensive workshop will begin with the elegant practice of pointed pen calligraphy with personalized instruction from calligrapher Katherine Yum. - Participants will then utilize elements of design to create a textural garland with the help of florist Katharine Lucas. 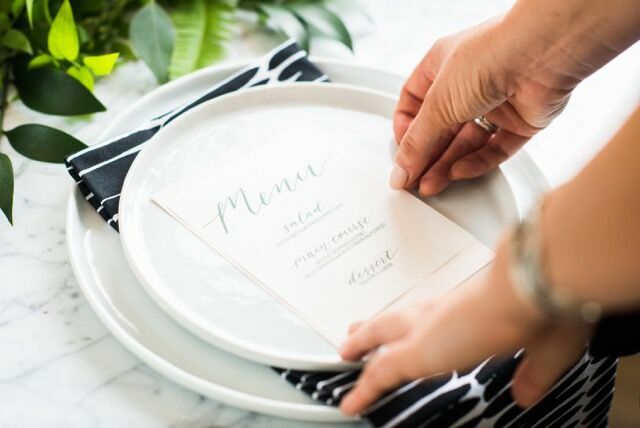 All participants will take home a completed menu place card as well as a insider's guide to practicing pointed pen, sourcing floral elements, and designing a tablescape fit for any occasion. - All materials and supplies will be provided by Prose Collective.